High reliability and long service lift of 5 years. Double lifting speed when loads under 600kg,which turns back to regular speed when above it. 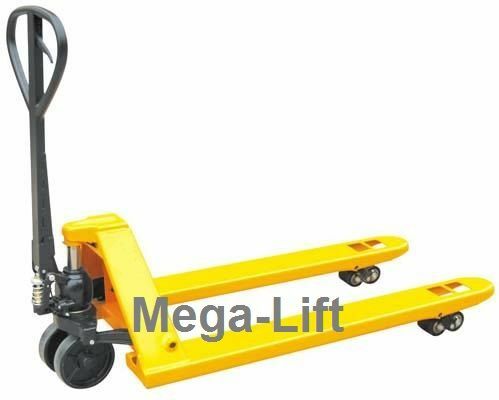 Impact free lifting ensures safety of cargo loading. The Lifting system is equipped with overloading protection valve to ensure the safe operation. The utilized structural design guarantees the convenience of assembling and disassembling. Light-weight fork frame,made from high rigidity steel plate. Compact appearance,innovative separated Rock Arm,ensure the whole truck evenly pressed. There is a finger hole in the connection of handle and pump,which is easy to assemble.